Want it by Wednesday 24th April? Order within 2 hours, 33 minutes and choose Next Working Day - Kerbside Delivery (Order Must be Placed by 2pm) at checkout. 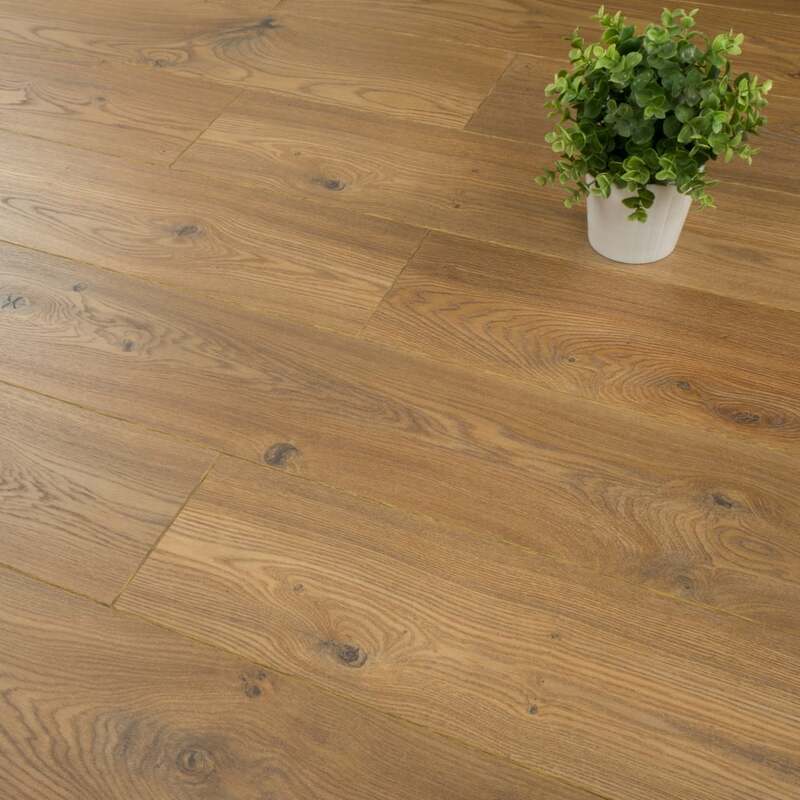 Balterio Tradition Quattro Bisquit Oak 180 is a medium oak board. This 9mm thick plank has board dimensions of 190.5mm x 1261mm long. Containing 8 planks, each back can cover a massive 1.9218 square metres. Balterio Tradition Quattro Bisquit Oak 180 is one of our best sellers and rightly so! With its medium oak finish and beautiful true to nature touch, this board is suitable for any home. Balterio Tradition Quattro boards all have 4 sided v-grooves which provide clarity and definition to any plank and overall, any room. Tradition Quattro range uses a unique foil band per décor to cover the bevelled edge which makes it more challenging to distinguish between laminate and hardwood flooring. As with all Balterio Tradition Quattro products they have a long warranty, a 25 year residential warranty and a 12 year commercial warranty. We at Discount Flooring Depot have a team on hand to help you pick the right flooring, why not contact us to request your FREE sample? Love our floor? Love your floor!